Discussion in 'Downhill & Freeride' started by Eastern States Cup, Jul 5, 2012. The POC Eastern States Cup continues to deliver the best racing in the country on the best tracks anywhere. July 14-15, two weeks after Aaron Gwin won his fourth UCI World Cup of the season on the Windham Downhill Race Track, the POC ESC will hold the sixth race of the POC ESC season on the same great course. Racers will be contesting their own battles on the big boys track. The fast racers will be able to hit all the same features as the World Cup stars did, there will be a few go-arounds offered for those not ready for the big features. The top chute drop, the road gap and Peatys Plunge will all be open to ride and race. The container drop will be reconfigured to a step down but the rest of the big jumps will be open for all classes. The Citizens course will also be open to have some fun chill runs on. You guys asked for this and the POC ESC delivered, now we need everyone to continue to show Windham the great support that was delivered at UCI World Cup. Windham Mountain offers their Adventure Park for summer thrills. Race your friends down dual zip lines that are 40 ft above the ground.. New York's first Big Air Bag will keep everyone entertained while jumping down 30 feet. The Adventure Park is open Saturdays & Sundays 11:00 a.m. - 4:00 p.m. from June 23, 2012 thru October 8, 2012. The POC Team Challenge is heating up with 14 teams battling it out for the $1000 cash purse. Its not too late to form a POC ESC team and register one for the POC Team Challenge cash. The ESC pro racers are competing for a maximum $1600 cash purse at this and every race. 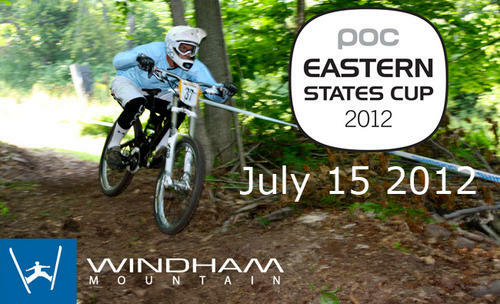 The ESC continues its tradition of bringing the Northeast Downhill racers an affordable, competitive and fun events. Twenty-three women racers are in the running for the Loeka Womens Challenge. The top 4 women will split $1000 at the finals in October. There are still a lot of races left to score points. Please check out al the details and standings at www.easternstatescup.com. Includes Lift Tickets for Both Saturday and Sunday. Location: From Exit 21 on I-87/New York State Thruway is just 23 miles on a state highway Route23 making it easy to get to. Schedule July 14 and 15. May 20 Mountain Creek, NJ. I will be there. Plans and schedule are set.